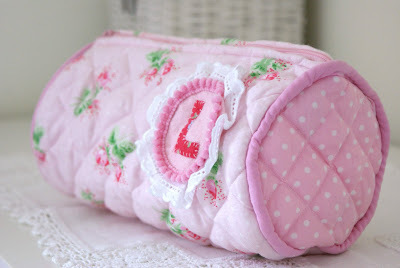 MessyJesse - a quilt blog by Jessie Fincham: Make it Monday: Quilted Make-Up Pouch! 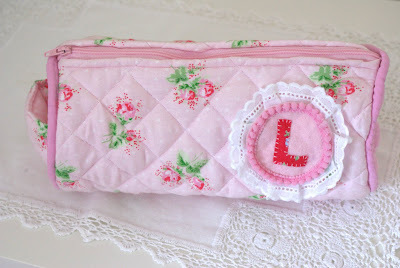 Make it Monday: Quilted Make-Up Pouch! Hello friends! 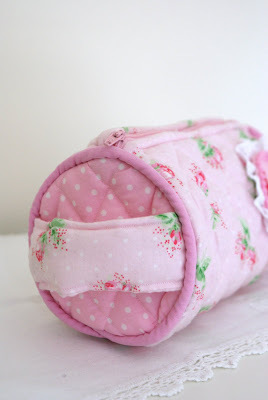 Here is a belated 'make it Monday' weekly feature, better late than never eh! 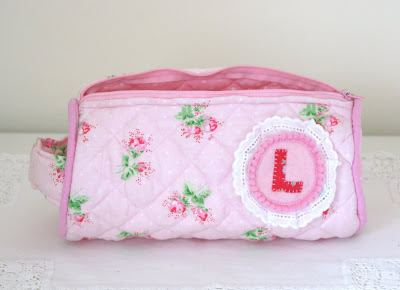 i made this quilted make-up pouch for my friend Laura's birthday :) she loves all my handmade things so i needed to make her something really special, and personalised with her initial! Piping in a circular disc for the edging, proved to be quite difficult! 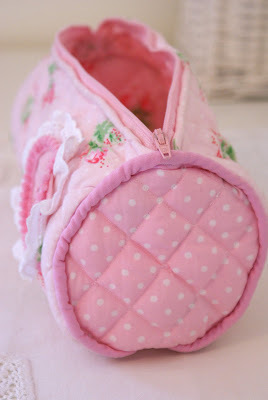 i had a lot of hand sewing to get it nice and tight to both sides of the fabric before i finished it off with the sewing machine.. 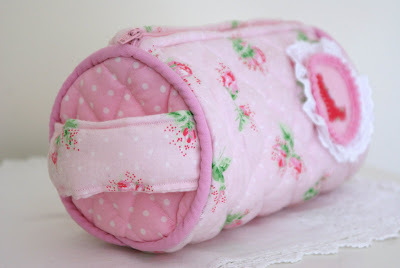 The whole thing is quilted with lovely cotton wadding to make it nice and snug, i also put a handle on the end, which is filled with wadding as well..
Oh that is stunning! If you ever want to do a swappie with me let me know, but sigh, I am afraid my stuff is no where near as cool as yours! 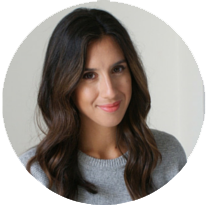 You're friend is so lucky to have an awesome friend and giftmaker in her life like you! 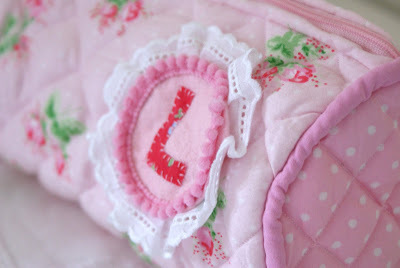 This is too cute, love the initial and its trim!